At Purdue University’s Indianapolis campus, the Sociology Club of IUPUI and the U.S. Public Interest Research Group asked students what they thought of the hundreds of payday lenders that checker their state, ensnaring their neighbors with an average annual interest rate of 391%, according to a report from National People’s Action. At those rates, payday, car-title, and high-cost installment loans simply dig borrowers into a hole. That’s why, for two days in November, a visual ‘Pit of Despair‘ opened up in Indianapolis. Groups were collecting photo petitions, and a story will be published in the school newspaper. 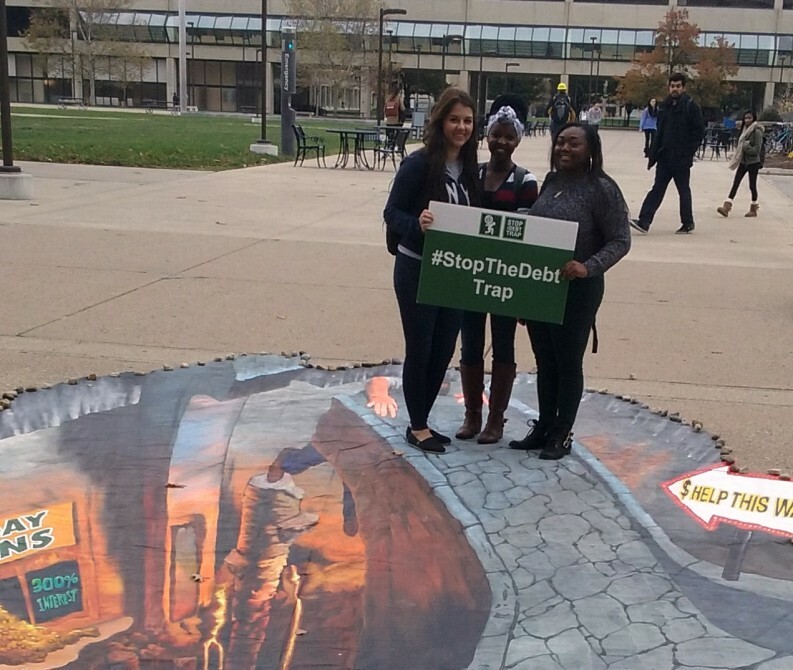 Now, students at Purdue are joining people across the country to call for a strong CFPB rule to put a stop to it.